ROTAR is a vertical rotating shelf storage system ideal for archive and office storage. 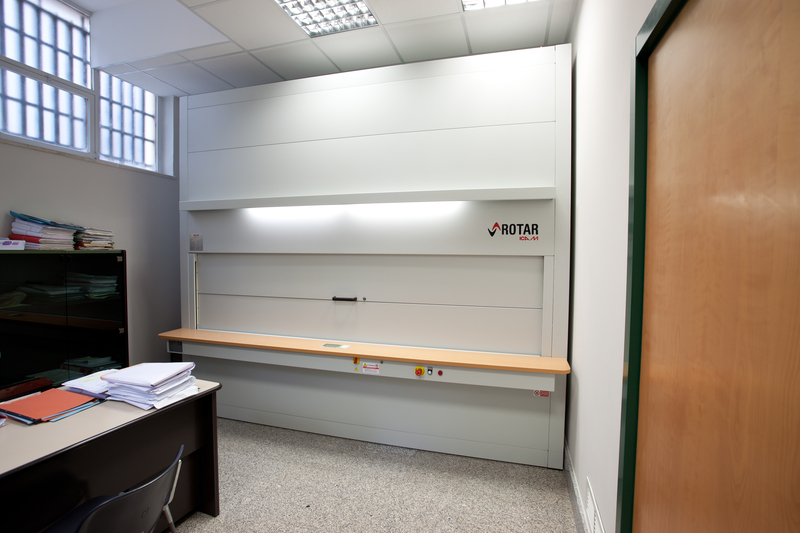 ROTAR is a vertical carousel storage system ideal for archive and office storage. 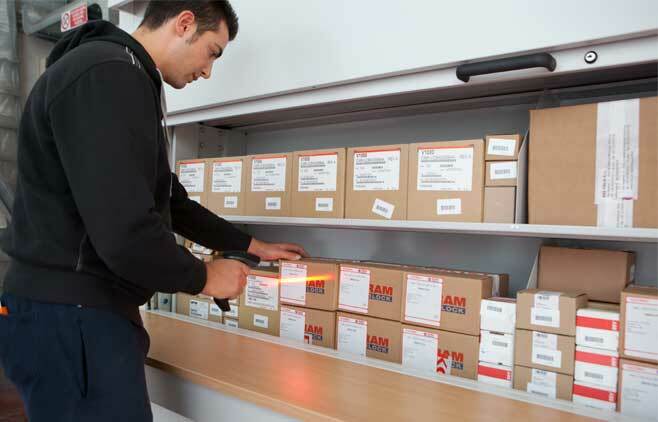 Handling of the storage system is achieved via a push button panel or a PC with control and operating software available on request. Retrieval operations are quick, with operators working in total safety. The vertical carousel system is covered with reinforced steel panels, also having structural functions. A small panel to access mechanical elements is located under the work surface. Some of the storage carousel controls are positioned in the front part of the working surface while, upon it is placed the operating panel which does set and execute all the controls. Among them there is also the main electrical switch with a door lock device, conceived to protect electric and electronic equipment inside the electric board compartment. The loading bay is protected by a couple of manual vertical sliding doors, provided with a key locking system. The working surface placed outside the loading bay is made of scratchproof bi-laminated chipboard with PVC shockproof edges. 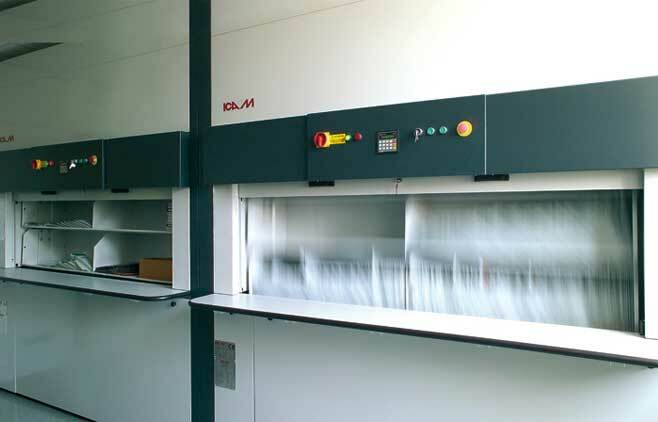 The panels composing the covering and framework of the system are all painted with baked enamels after phosphodegreasing. 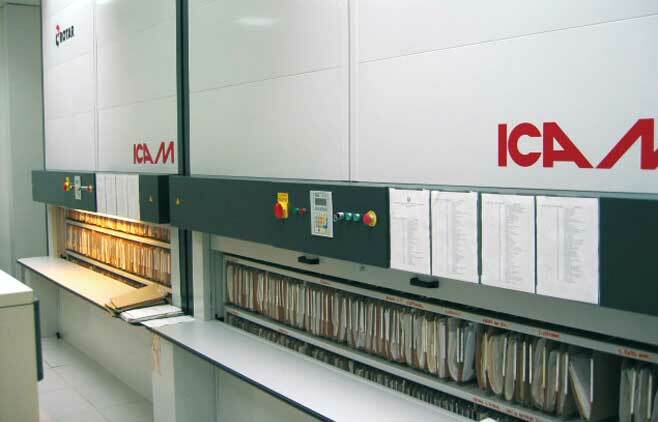 Easy-to-use and functional, Icam software enables immediate tracking and tracing of the archived material, by ensuring time-savings.